In the last few days, I’ve come across three affordable open source robots either based on BeagleBone Black, or Arduino compatible boards, and I’m sure there are many other projects out there for people interested in getting started with robotics without breaking the bank. BeagleMiP educational robotics development kit from Strawson Design. The kit features the BeagleBone Black board with Texas Instruments Sitara ARM Cortex A8 processor and Novus Robotics Cape, an add-on board that provides 9-axis IMU (Accelerometer, Gyro, Magnetometer), 6 PWM connectors to power servos or brushless ESCs, 2 user-accessible buttons and 2 LEDs, a cell balancer & overvoltage protector, H-bridges to drive 6 DC Motors, and connectors for three quadrature encoder equipped motors. WowWee MiP – Another self balancing robot, but not open source, based on Arduino, that you can control with gestures, and your Android / iOS devices via Bluetooth. It’s available for pre-order for $99 with shipping in spring 2014, and a larger version (40 cm tall) is in the work, and should be able to carry heavy bags and follow you. 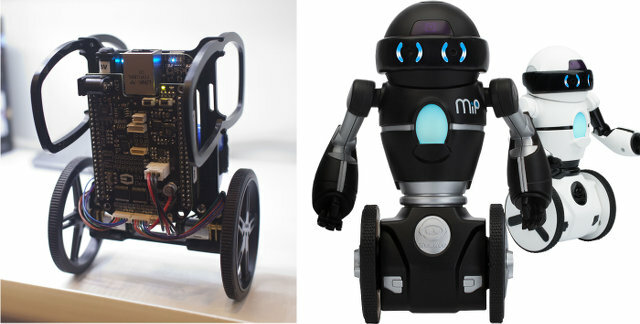 The BeagleMiP will be available later this year for $150 MiP robotics development kit, but related source code and documentation for the Robotics Cape are already provided in github. uARM, designed and manufactured by UFactory, is a 4-axis parallel-mechanism desktop robot arm modeled after the ABB industrial PalletPack robot used to manufacture cars and other larger items. The robot is made up of laser cut acrylic or wood parts, powered by standard RC hobby servos, and controlled by an Arduino-compatible board built around Atmel ATmega328 MCU. The robot is controlled via Windows application using your computer’s keyboard or mouse. Android and IOS apps are being developed so that you can control the uArm via Bluetooth. You can move things around thanks to provided suction cups. 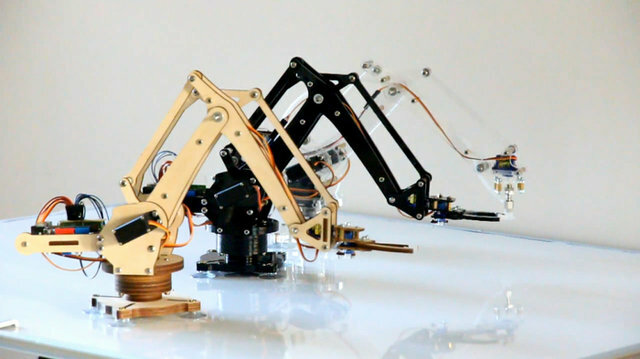 You can pledge $185 on the company’s kickstarter campaign to get a fully working robotic arm on your desktop, with delivery expected in May 2014. According to the information provided on the kickstarter page, all of the design files, hardware and software will be released in May 2014 too. You can find some more details on the UFactory’s Robot Arms blog. 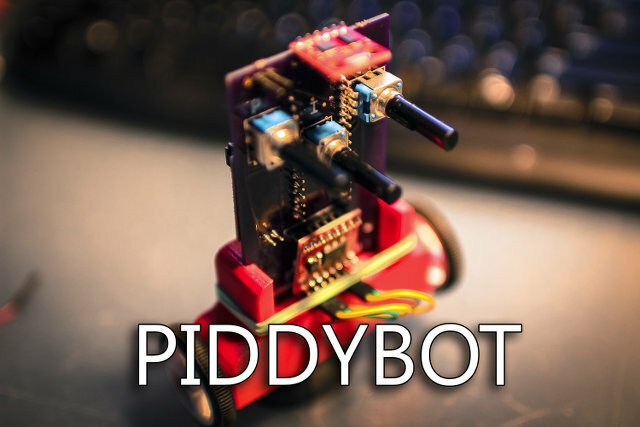 PiddyBot is self-balancing robot based on Arduino Nano that aims to teach self-balancing. So it does not only come with an On/Off switch, but you can actually set the parameters of the PID system (PID = Proportional, Integral, Derivative) via potentiometers. You can’t buy the full robot itself, but Sean Hodgins, the student behind the project, provides the full list of components to purchase from Sparkfun, ThingiVerse (3D printer files), and oshpark.com (custom PCB). PIDDYBOT Arduino code and assembly instructions are also available PiddyBot blog post.